In my practice, I have worked with women for almost twenty years and one thing I know: Women know how to love. They know how to love their spouse or partner; they know how to love their children; they know how to love their pets, and their community, and their parents, and their siblings, and their friends. They show their love through the things they do for the people they love and they have a hard time saying, “No,” to those in their circle of loved ones. 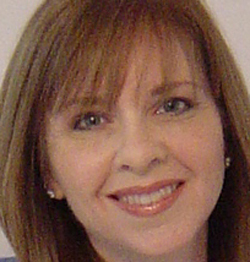 There is one person, though, that women seem to have a hard time loving – themselves. And, they have a hard time saying, “Yes,” to her. Okay, perhaps you’re not MORE important than all those folks, yet aren’t you AS important as they are? We women are a fan of the Golden Rule. You know, “Do unto others as you would have them do unto you.” What we seem unaware of, though, is that we ARE one of the others. Do you treat YOURSELF as well as you treat others? You show your child unconditional love. Do you show yourself unconditional love? When your friend makes an unhealthy choice and eats too much chocolate cake, you give her a pep talk and show compassion. When you eat too much chocolate cake, do you show yourself compassion or do you shame yourself? When your husband/partner makes a mistake, you forgive them. Do you forgive yourself when you make a mistake or beat yourself up over it? 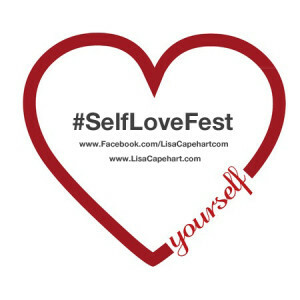 In that spirit, I’ve created an event for February, the month of love – The Self-Love Fest #SelfLoveFest. Each week, I’ll be writing about different aspects of self-love. And, each day on Facebook and Twitter, I’ll post a prompt to get you thinking about how you can love yourself more. Today’s prompt is: What self-loving act do you do every day? Answer in the comments below or on Facebook or Twitter! Be sure to use the hashtag, #SelfLoveFest! I spend anywhere from 30 to 60 minutes every day just hanging out on the couch with my dogs, sometimes reading fiction or magazines, or just napping. I have found this really helps my emotional equilibrium. And the dogs love it too! I used to struggle with loving myself, holding myself up to some societal mirror of women who don’t even look like themselves because they’ve been airbrushed. I stand up for what I believe, even if I’m the first one to do so. This has brought me more self-love than I ever could have imagined! Will check out FB. I knew you’d appreciate this. You’re such an inspiration for women to find their inner rebel and be authentic! Thank you for stopping by!